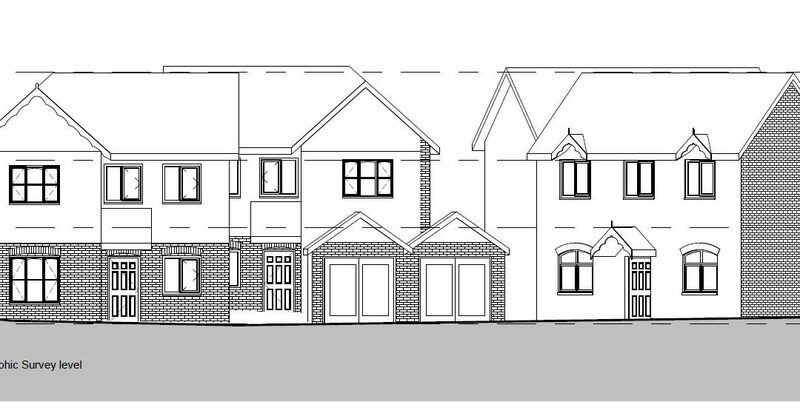 The proposed development site Plot 4a is formed from land formerly of ‘The Grange’ on the Farnham Road approach to West Liss. The site is included within the Liss Neighbourhood Development Plan 2011-2028 as a designated site for redevelopment in order to meet the local housing need, and is currently a vacant open grass meadow surrounded by trees, a number of which are protected. A previous approval was granted for a new site access from Farnham Road early this year. It is the intention to implement this along with the new site proposals with possible future links to allow access to the separately owned Plot 4 site behind the Grange. 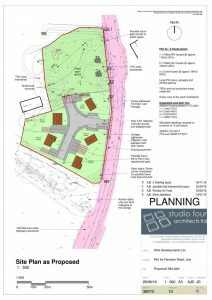 Studio Four, in conjunction with Boyer (planning) and Motion (transport), has submitted proposals to seek Outline permission for 5 no Dwellings arranged towards the south of the site around its new entrance, with a mix of 2, 3 and a single 4 bed house. A Planning decision is due imminently.